It looks like scripting has been disabled in your browser. To view videos on this page, follow these instructions. 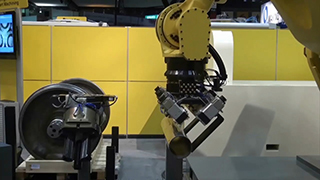 This video explains what a Robotic Tool Changer is, its advantages, and why ATI Industrial Automation is the world leader in robotic end-effectors and robot arm tooling. 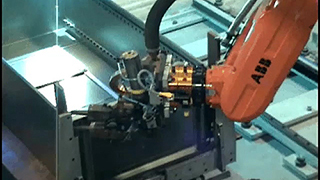 QC-1210 Heavy Automation Robotic Tool Changer enables the robot to handle multiple end-effectors. 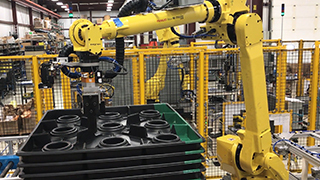 Stand-Alone Covers and Pneumatically-Actuated Debris Shields for our Heavy Automation Robotic Tool Changers, provide protection to the Tool Plate and accessory modules. 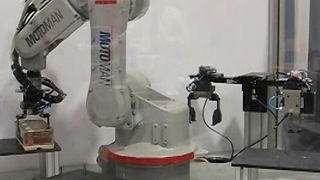 QC-001 Micro Tool Changer enabling quick and automatic exchange of robot end-effectors. Utilizing QC-210 Tool Changers for quick and automatic exchange of press transfer tooling. 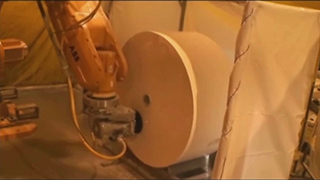 An aseptic pharmaceutical system utilizes a custom QC-20 Robotic Tool Changer, enabling the robot to switch between different types of filling tools. 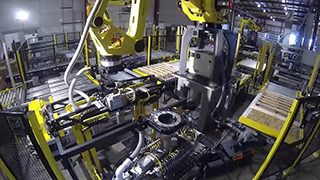 Detailed explanation of how ATI's Robotic Tool Changer locking mechanism operates. 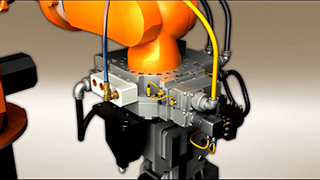 Heavy Automation Tool Changers provide flexibility to robot applications by allowing them to change end-effectors (e.g. 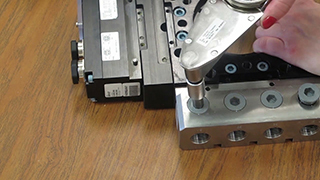 grippers, vacuum cup tooling, etc.) automatically. 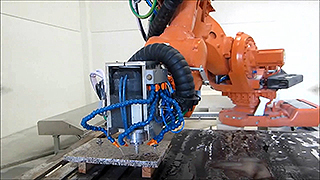 QC-20 Robotic Tool Changers enable the robot to quickly exchange and handle multiple end-of-arm tools. 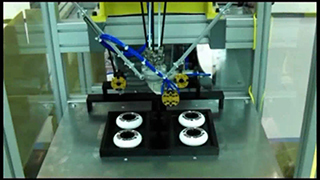 QC-510 Heavy Duty Robotic Tool Changers enabling the robot to handle multiple packaging operations. 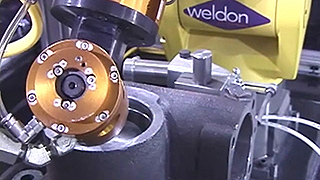 Robotic Tool Changers enable the robot to utilize multiple large end-effectors in a compact and efficient welding cell. 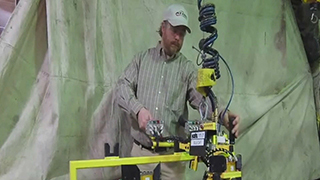 QC-110 Robotic Tool Changer enables the robot to quickly change welding end-effectors. 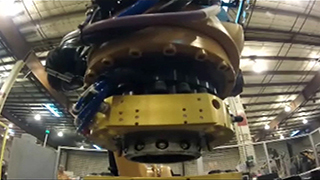 Robotic Tool Changers utilized in roller hemming operation to quickly exchange end-effectors. 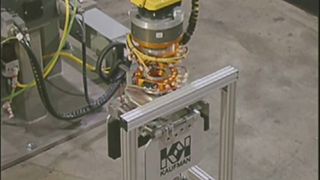 QC-150 Robotic Tool Changers are utilized to quickly exchange packaging end-effectors. 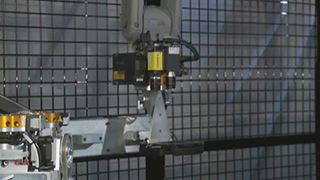 A custom Robotic Tool Changer is used in blade changing system to increase safety and production. 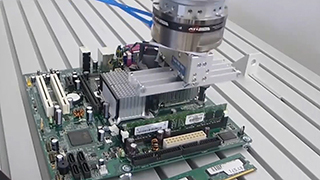 QC-5 Robotic Tool Changers enable the robot to utilize multiple testing probes without interruption of TDR board testing. 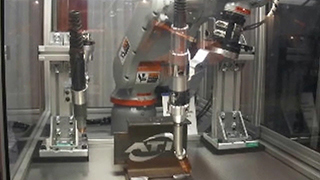 Robotic Smart Cell by Comau utilizing Robotic Tool Changers which enable the robot to perform multiple tasks associated with automotive parts assembly. 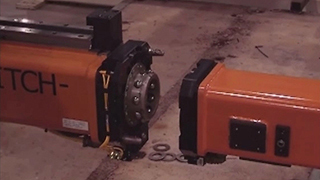 Bohl Crane utilizing QC-40 Tool Changers for quick and automatic exchange of material handling tooling. 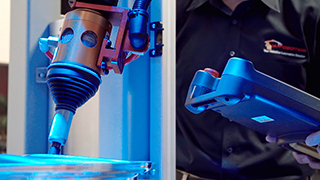 Robotic Tool Changers, Collision Sensors and RCC Compliance Devices used in Laboratory Automation. Gamma model F/T Sensor used to verify that control buttons and knobs meet product specifications. 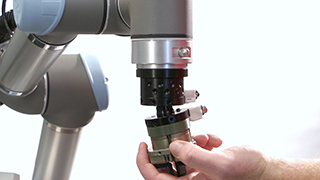 QC-11 Tool Changers enable the robot to handle multiple testing end-effectors. 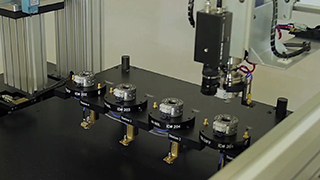 Video Courtesy of Magna, Inc.
QC-21 Tool Changers enable Monode's robotic marking system to automatically scan, mark and verify large aerospace components. 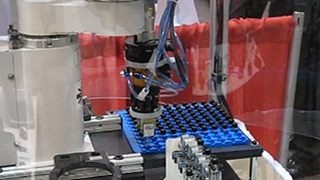 QC-5 Tool Changer used in a Packaging Robot Demo shown at Pack Expo shows. 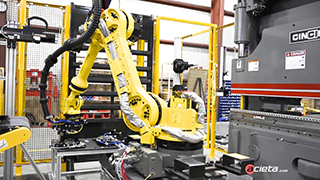 QC-5 Tool Changers enable the robot to automatically exchange welding torches, Locking Tool Stands ensure safe and secure tool storage. 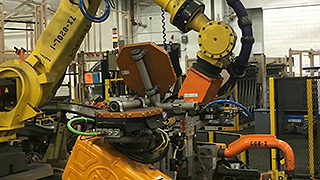 QC-210 Heavy Duty Robotic Tool Changers being utilized in weld fixture exchange and changeover. 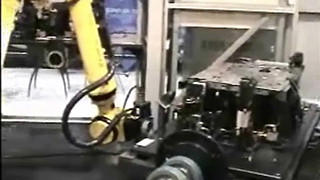 Video Courtesy of Tennessee Rand, Inc.
ATI Robotic Tool Changer demonstrating tool changes in pick and place pressroom operation. 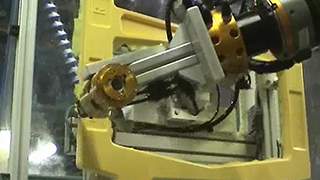 Video Courtesy of Kawasaki Robotics (USA), Inc.
QC-110 Tool Changers enable the robot to handle multiple end-of-arm tools. 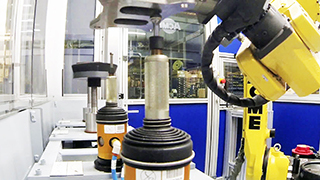 SR-221 Robotic Collision Sensor protects valuable end-effector tooling. 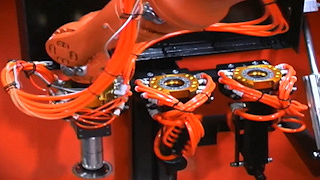 QC-110 Robotic Tool Changer enables the robot to automatically switch end-effectors. 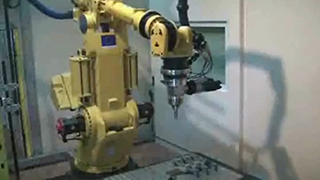 Robotic deburring of an injection molded plastic part with ATI's RC-340 Compliant Deburring Tool. Force/Torque Sensor used to verify that control buttons and knobs meet product specifications. 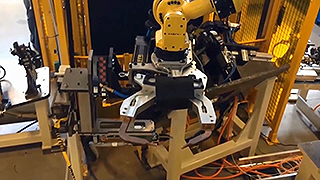 Robotic Tool Changers enable the robot to switch between testing stations automatically. Flexdeburr RC-340 shown with VersaFinish ACT-390 along with an ATI QC-20 Tool Changer. 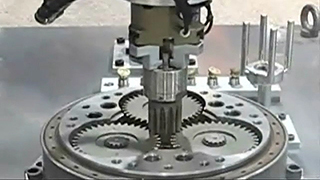 QC-21 Robotic Tool Changer allows the quick change out of various deburring and cutting tools. 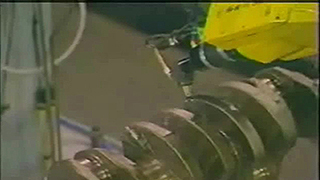 Video Courtesy of Encobotics, Inc. 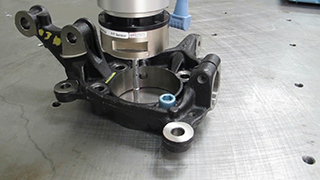 Heavy Automation Tool Changers enable quick exchange of Toe Tooling. 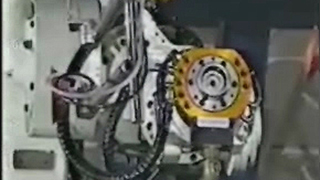 Multiple wheel configurations can be accommodated by one alignment system. QC-150 Tool Changers being utilized in the racking procedure of 5 gallon water bottles. 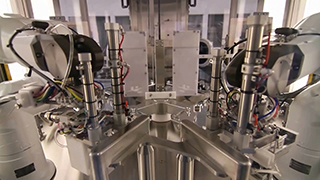 Tool Changers enable efficient testing of customer materials in this packaging cell. 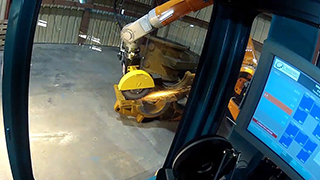 Video Courtesy of Schmalz, Inc.
PRE-TEC uses ATI Tool Changers in a dual Master-and-Tool configuration for an efficient method of protecting wood products during transit. 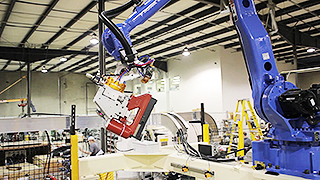 Acieta’s Robotically Integrated Bending Solution (RIBS) system utilizes Robotic Tool Changers to automatically change press brake tooling. 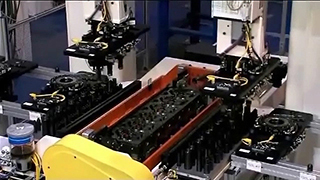 Robotic Tool Changers utilized in an automotive assembly operation. 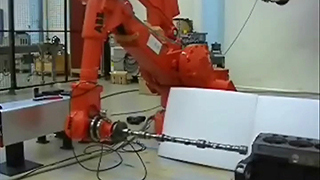 Footage courtesy of Edgewater Automation. 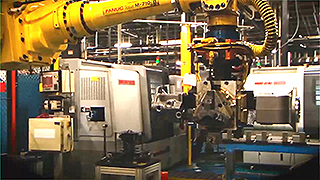 This video explains why ATI Industrial Automation is the world leader in force/torque sensing technology. Gamma Force/Torque Sensor uses ArtiMinds RPS robot programming software, making robot programming faster and easier. 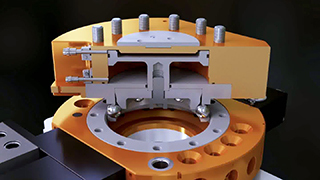 Omega191 Force/Torque Sensor provides pressure feedback to optimize the stone cutting and finishing processes. 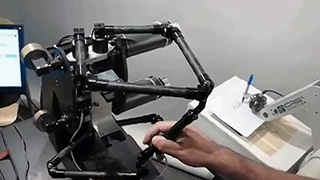 Force/Torque Sensor used to provide the operator with tactile feedback, enabling more precise robot and end-effector manipulation. 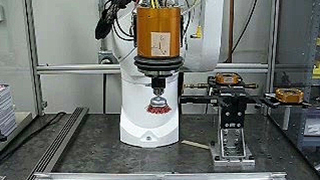 Delta model Force/Torque Sensor provides force and position feedback in a robotic finishing and polishing application. 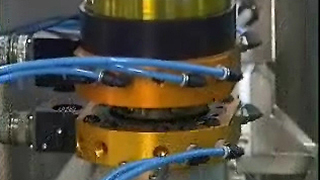 Force/Torque Sensor used in a 5-degree-of-freedom telepresence system. Gamma F/T Transducer is used in the system. 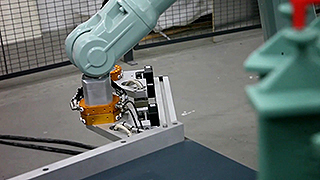 Force/Torque Sensors enable the Kawasaki RS005L Robot to sort and orient weights. 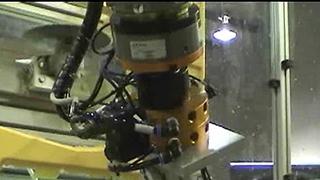 ATI Six-Axis Force/Torque Sensor being utilized to provide feedback to robot to allow for even turbine blade machining. 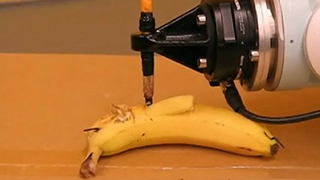 Nano17 Force/Torque Sensors are utilized in the fingertips of research robots to measure robot-to-object grip forces. 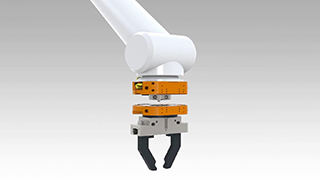 ABB's RobotWare Assembly Force Control system utilizes ATI's Force/Torque Sensor. 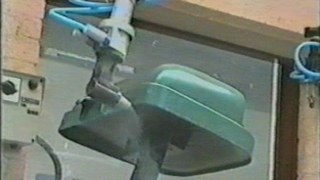 Force/Torque Sensor being used to maintain constant contact force in surface polishing of a kitchen sink unit. 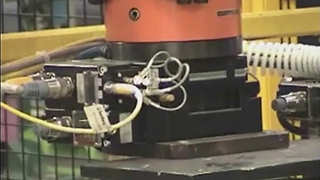 Delta model Force/Torque Transducer used for automated assembly. Gamma model Force/Torque Transducer is utilized in a 5-degree-of-freedom telepresence system. 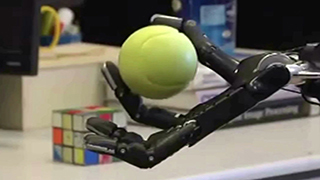 A Force/Torque Sensor mounted on the wrist of the robot provides force feedback, enabling the robot to make quick adjustments in real-time to maintain a constant contact force. 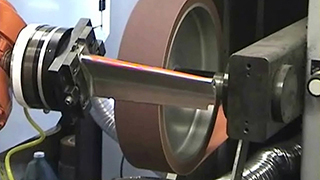 Friction Stir Welding provides optimal welding for materials with low melting points. 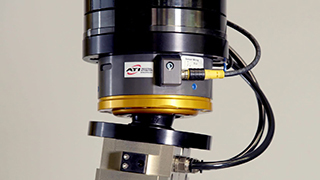 ATI Force/Torque Sensors are utilized by the robot to provide force and torque feedback, enabling the robot to make quick adjustments in real-time. 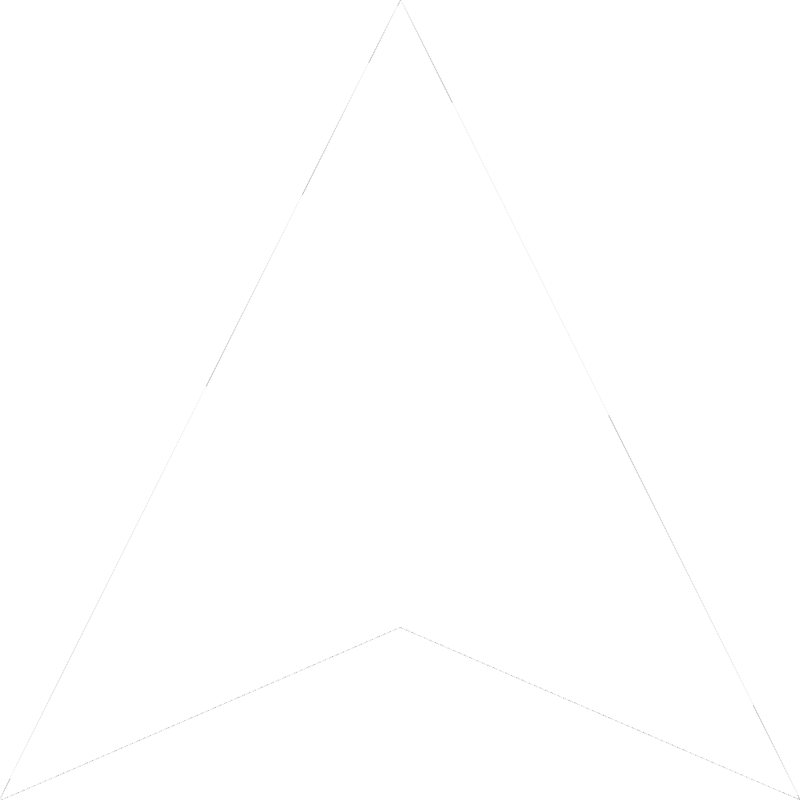 Used to maintain constant contact force. 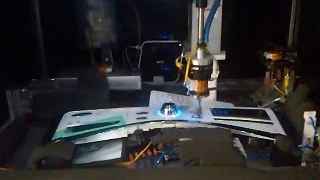 Shown with Theta F/T Transducer and Gripper attachments. 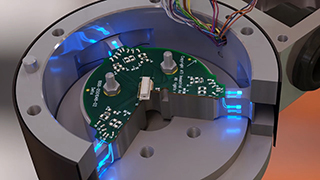 ATI's Nano43 model Force/Torque Sensor used in Precision Robotic Assembly. 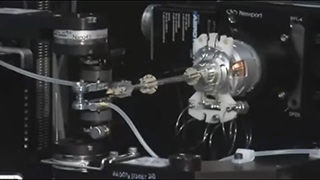 Precision robotic assembly machine manufactures small and complex laser-driven fusion ignition targets. 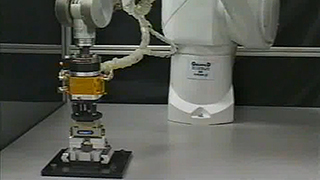 A short demonstration of an ATI Six-Axis Force/Torque Sensor being utilized in part path navigation by a UR5 Universal Robot. 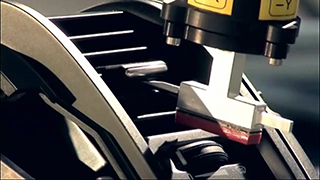 Watch this video to see how ATI's Compliant Deburring Tools increase safety and quality of material removal processes. Featuring a durable interface to accommodate a variety of readily available hand-held blades and media. This deburring tool excels in light and medium deburring, chamfering, and scraping operations on materials such as plastic, aluminum, steel, and brass. 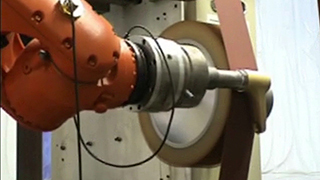 Radially-Compliant Deburring Tools used in iA-ROBOTICS’s Automated Wheel Deburring System. 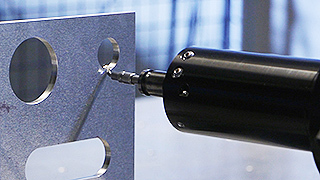 Demonstrating the flexibility of the Speedeburr, Axially-Compliant Deburring Tool. 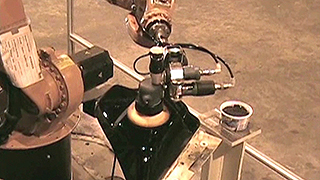 Flexdeburr RC-660 Robotic Deburring Tool utilized to remove excess aluminum from transmission housings. 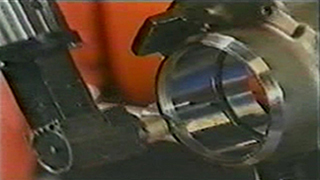 Axially-Compliant Deburring Tool shown deburring a cover of a disposal container made of fiberglass armored polyester. 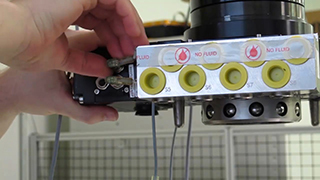 RC-340 Compliant Deburring Tool shown removing plastic flash from fuse boxes. VersaFinish Axially-Compliant Finishing Tool, ACT-390 polishing a microwave oven grill for an even surface finish. 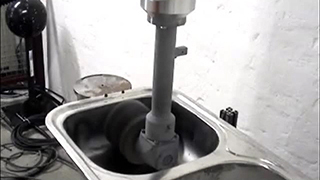 Speedeburr Axially-Compliant Deburring Tool shown shown deburring a crankshaft for a large engine manufacturer. 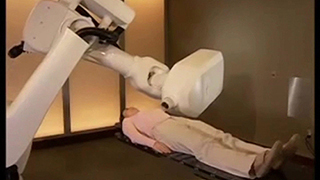 This video explains what a Robotic Collision Sensor is, its advantages, and why ATI Industrial Automation is the world leader in robotic end-effectors and robot arm tooling. 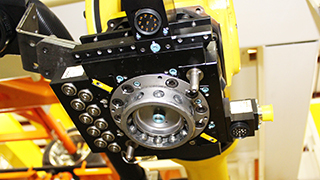 SR-131 Collision Sensor protects valuable robot tooling from robot crashes. 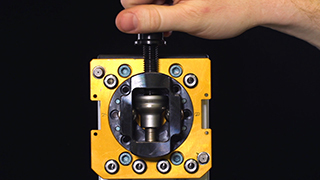 This video explains what an ATI Manual Tool Changer is and how it allows tooling and utilities to be quickly changed by hand. 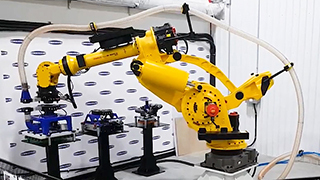 Provides a cost-effective solution for quickly changing tools by hand in collaborative robot applications. The compact yet robust design combines high strength with ease of use. 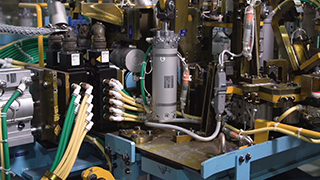 This video explains what an ATI Utility Coupler is and how it allows tooling and utilities to be quickly connected. 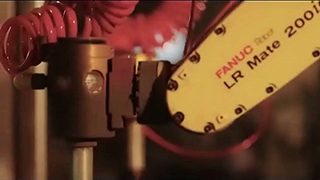 Enables the quick connection of utilities such as air, fluid, power and electrical signals in docking and fixturing applications. The unit is able to pass utilities even though the workpieces are misaligned. 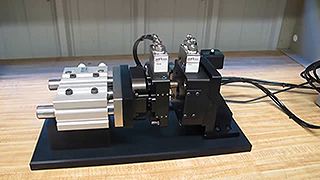 KTH Parts Industries Utilize GA2 Utility Couplers to Automate their Equipment Changeover Process. 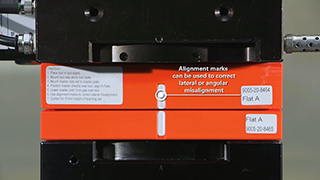 Demonstrating automated assembly alignment; Corrects lateral and rotational misalignment. 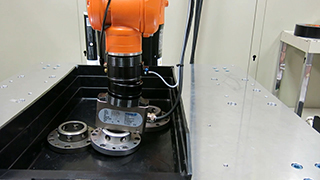 Our Universal Compliance Compensator (UCC) allows the robot to overcome severe misalignment between the tool and the workpiece. 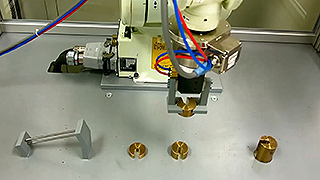 Demonstration of how to use ATI's Teaching Aids for ATI Robotic Tool Changers. 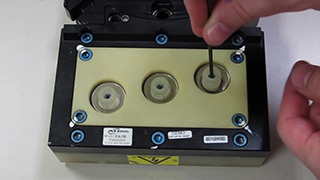 Step-by-step video of ATI's Electrical Pin replacement procedure for ATI Tool Changer Electrical Modules. 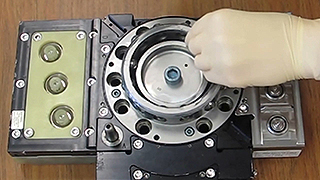 Step-by-step video of cleaning and lubrication of ATI Tool Changer Locking Mechanism. 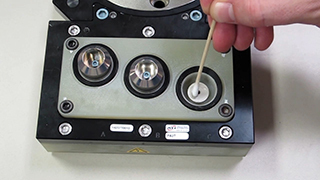 Step-by-step video of ATI's Lock and Unlock Sensor replacement procedure for ATI Tool Changers. 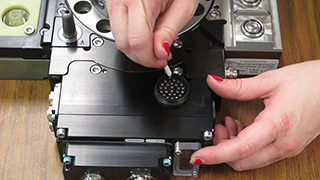 Step-by-step video of ATI's Master Module contact tip replacement procedure for ATI Tool Changer High Current Modules. 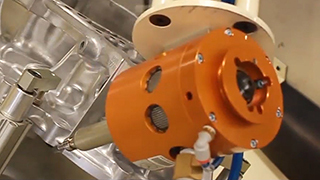 Step-by-step video of ATI's Master-Side Valve rebuild procedure for ATI Tool Changers. 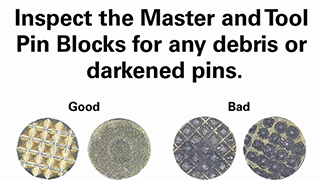 Step-by-step video of ATI’s Pin Inspection and Cleaning Procedure for ATI Tool Changer Electrical Modules. 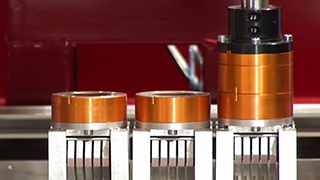 Step-by-step video of ATI’s Tool Module Contact Tip Replacement Procedure for ATI Tool Changer High Current Modules. 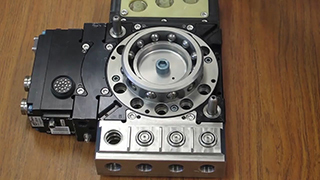 Step-by-step video of a Tool-Side Valve Rebuild Procedure of a ATI Tool Changer.